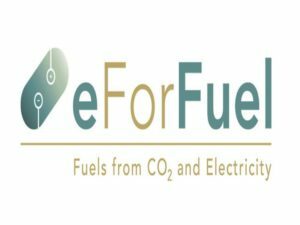 C3 Biotechnologies Ltd is taking part in eForFuel, an exciting EU-funded research and innovation initiative that seeks to provide a sustainable replacement of fossil fuels by using electricity and microorganisms to convert CO2 into renewable fuels. Enzymes are proteins found in every living organism, catalysing biochemical reactions and involved in multiple biological processes. Industrial biotechnology utilises enzymes in a large variety of applications such as in sectors including food, cosmetics, pharmaceuticals and advanced materials. However, finding the right combination of enzymes for a desired process is often extremely challenging. Selenzyme, developed by researchers at the Manchester Synthetic Biology Research Centre (SYNBIOCHEM), Manchester Institute of Biotechnology, is a freely available online tool that assists the scientist in the selection of the enzymes for his/her experiment. The user is guided through several decision steps in order to shortlist the best candidates, graphically presenting key information about the enzymes. Selenzyme is a key component of the automated pipeline at the SYNBIOCHEM where we are aiming to provide greener, more sustainable routes for microbial production of fine chemicals. Retrosynthesis is a long-standing problem first introduced by Chemistry Nobel Laureate J.E. Corey in the late 1960s. Taking advantage of recent progresses made in machine learning the problem has been revisited. In two papers SYNBIOCHEM teamed up with MICALIS Institute at INRA (France) to explore the use of retrosynthesis in biology. Both articles are making use of RetroPath2.0 a versatile, open source, easy to use and modifiable scientific workflow. In the first paper  the tool is used to perform retrosynthesis in the context of metabolic and biosensor engineering and is validated using actual examples of successful experimental implementations. In the second paper  the tool is used to perform inverse molecular design and search bioactive molecules in the chemical space as well as to create extended metabolic maps that can be used to annotate mass spectrometry data coming from a metabolomics pipeline. Because RetroPath2.0 is freely available on the workflow repository platform myExperiment.org  and is solely based on open source tools it is anticipated that community contributions will likely expand further its features. Patrick (Yizhi) Cai (Prof. Synthetic Genomics) at the University of Manchester and the President of the Life Sciences Research Institute, Xun Xu from BGI signed a memorandum of Understanding to promote strategic collaboration. The Beijing Genomics Institute (BGI) and University of Manchester have launched a five-year collaboration focused on Synthetic Biology and metabolic engineering of natural products. The collaboration builds on Prof Patrick Cai’s synthetic genomics research and his involvement in the Synthetic Yeast Genome Project (sc 2.0) which aims to redesign and synthesize a 12-Mb designer yeast genome de novo. Emily Kempa: With the number of variants in a combinatorial library regularly exceeding 105 entities, SYNBIOCHEM Manchester are looking for new high throughput technologies for screening these variations for useful mutations to take forward into the next round of development. Although the Sphere Fluidics droplet platform and the FACS system are regularly utilised in the department for this use, their inherent downfall is the reliance upon the target compound to be fluorescent. To overcome this, a label-free approach in which the Sphere Fluidics droplet platform will be modified and coupled to a mass spectrometer has been devised. This project has begun by coupling a droplet microfluidic chip with mass spectrometry through the insertion of a stainless steel emitter into a chip, and integrating this chip with the Agilent 6560 IM Q-TOF Mass Spectrometer. Droplets (~2 nL in size) are generated in the chip at a rate of 5 Hz and are introduced into the MS almost immediately with each droplet being detected as a distinct peak in the total ion chromatogram. Each peak in this chromatogram allows us to obtain a mass spectrum for each droplet, something that will be come of up-most importance when filling droplets with individual variants from the library or even monitoring reaction progress. Demystifying the science behind our research papers, these videos provide a real world view of how important these discoveries are for day to day life. These include: Finding new routes to replacement molecules for oil using yeast; Developing new routes to cheaper, better drugs by pairing man-made synthesis with natural enzymes; and harnessing the power of enzymes to make useful molecules for pharmaceuticals, polymers and plastics using alcohol. 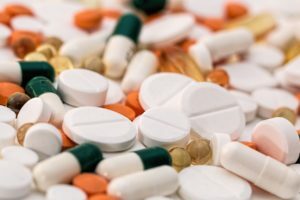 The World Health Organisation, has highlighted a lack of new antibiotics in development which is leading to a crisis in antibiotic production and our ability to tackle infections. 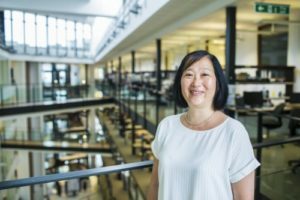 However, cutting-edge technology gives us a chink of hope in what could otherwise be seen as an intractable problem says Eriko Takano, Professor of Synthetic Biology at The University of Manchester. SYNBIOCHEM is combining the strengths of biology with the power of engineering to find new ways to deal with this problem. iGEM 2017 Manchester success at the Giant Jamboree! Manchester iGEM 2017 Awarded Gold at the Giant Jamboree! 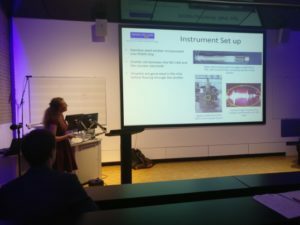 : This year our team of undergraduate students from the University of Manchester and Manchester Metropolitan University are working on a project that aims to engineer a bacterium that can take up and store increased levels of phosphate through micro-compartments. Scientists have discovered a new enzyme that will make a drug used to treat Parkinson’s disease cheaper and quicker to produce. Researchers at the Universities of Manchester and York found the enzyme in Aspergillus oryzae, a kind of fungus used for making soy sauce. The discovery, ‘A reductive aminase from Aspergillus oryzae’ was published in Nature Chemistry. The enzyme’s greatest impact could be in a class of medications called monoamine oxidase (MAO) inhibitors. One such example of this kind of drug is Rasagiline, which helps Parkinson sufferers by increasing a substance in the brain that affects motor function. These substances help reduce the involuntary tremors that are associated with the condition. The medicine works in both early and advanced Parkinson’s, and is especially useful in dealing with non-motor symptoms of the condition, like fatigue.